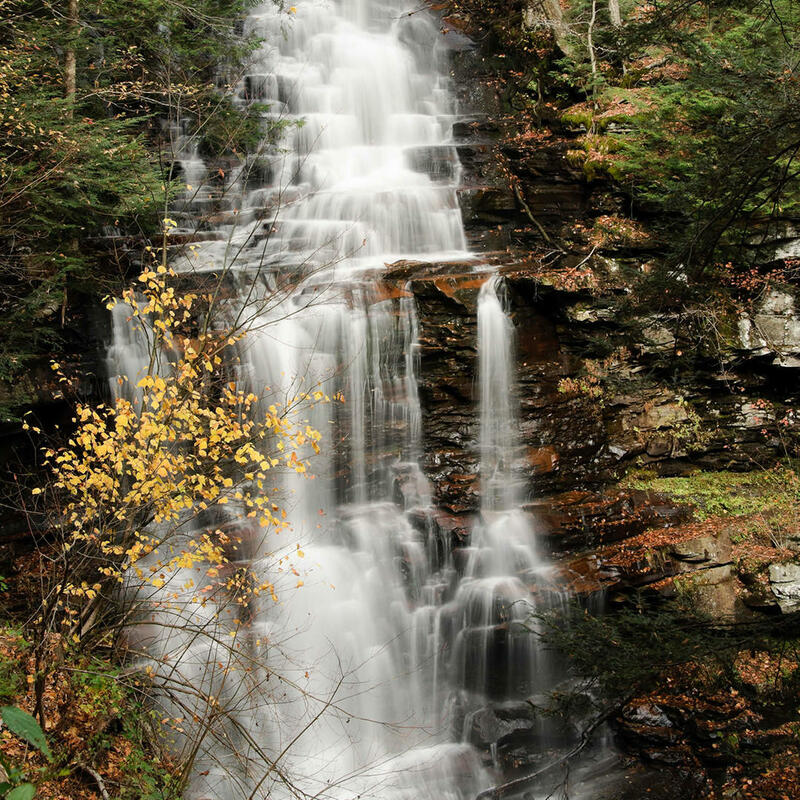 The Ricketts Glen State Park is a National Natural Landmark. Hike the Falls Trail System and explore the Glens, which boasts a series of wild, free-flowing waterfalls, each cascading through rock-strewn clefts in this ancient hillside. Old growth timber and diverse wildlife add to the beauty. Ricketts Glen State Park is hands down one of the most scenic areas in Pennsylvania. This large park is 13,050 acres and stretches across three counties: Luzerne, Sullivan, and Columbia.